Stormy conditions are set to envelop Finland as residents ring in 2019, according to the latest weather forecasts. 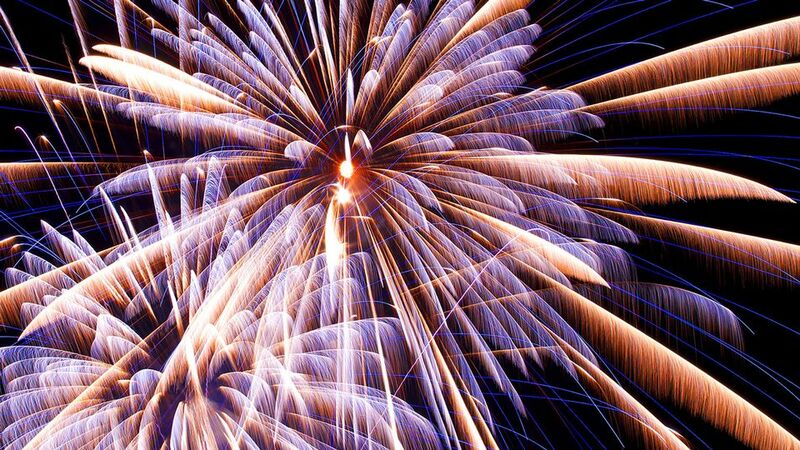 Residents of the west coast can expect gusty winds that could also strike a blow to plans to set off fireworks in the Ostrobothnia region, according to local emergency services. Current forecasts are for high winds on the west coast, reaching storm force in Ostrobothnia, while gusts over open seas could exceed 20 metres per second. Oulu-Koillismaa emergency services warned that high winds could send fireworks off course and could blow down poorly secured pyrotechnics. Meanwhile other rescue services across the country have pointed out that if conditions feel too windy it would be wisest not to set off fireworks. Yle meteorologist Anne Borgström said on Monday that just as Helsinki residents ring in the New Year, the wind will be at its fiercest, gusting up to 20 metres per second. Helsinki rescue services tweeted Monday morning that it would monitor the weather during the day and issue possible restrictions on fireworks use later in the day. Southwest Finland should also brace for high winds along with rain, sleet and snow. Emergency services in the southwest and Ostrobothnia said that they are monitoring the situation closely and will issue additional warnings on Monday. Meanwhile, officials are warning revellers to be especially careful using fireworks given the windy conditions expected, and have cautioned that pyrotechnics could veer in unexpected directions as a result. Ostrobothnia and southwest Finland emergency services said that if conditions worsen, it may be necessary to consider restricting their use altogether. The storm is expected to make landfall in Ostrobothnia around 8.00pm, while the revellers can begin using fireworks from 6.00pm. "We are now actively following how the winds are developing and we will make a decision about whether or not the weather will affect fireworks or otherwise on New Year’s Eve," said duty fire officer Riikka Oravainen of the Ostrobothnia rescue services. Consumers do not have to observe any official wind speed limits when using fireworks, but professionals do. According to the Fireworks Promotion Association, it is not considered safe for professionals to use fireworks when wind speeds exceed 14 metres per second. The New Year is expected to usher in windy and snowy conditions throughout the country, with the stormiest weather due on Tuesday and Wednesday. According to Yle meteorologist Matti Huutonen, the wind will reach dangerously high speeds on those days. Central Finland and the Kainuu region in the east could be blanketed by 30 centimetres of snow, while in the south, precipitation is likely as rain as conditions become milder. Daytime highs will range from minus five degrees Celsius in the north to around zero degrees in coastal areas. Edit: Updated at 11.47am to include current information from rescue officials in Lapland, the Oulu region and Helsinki as well as comments from Yle meteorologist Anne Borgström.